Teddy is an Enterprise Security Consultant with over 7 years in the IT industry. Teddy has designed, coordinated, and presented proposals to multiple RFP’s including projects in the high performance computing space, business analytics software, and networking. He has performed as the lead contact on many IT projects and has provided assistance with the design, integration, implementation and troubleshooting during these projects. Teddy provides project leadership and management expertise while focusing on IT security throughout diversified environments. 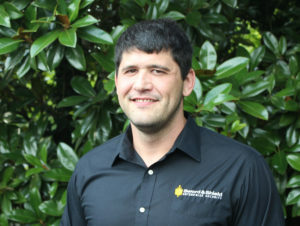 Teddy’s educational background includes a degree in Electrical Engineering from the University of Tennessee, Knoxville, an MBA from King University, and his previous work experience stems from employment with IBM and being a veteran of the United States Navy. Want to see Teddy speak at other events in Tennesse? Check out these events!